Congress passed a new tax law in December, and taxpayers are now trying to figure out how it will affect them. According to the Urban-Brookings Tax Policy Center, approximately 80% of taxpayers will see a tax cut in 2018 under the new law. Taxpayers need to understand the new tax law, and how they can take advantage of the changes based on their personal income and expenses. 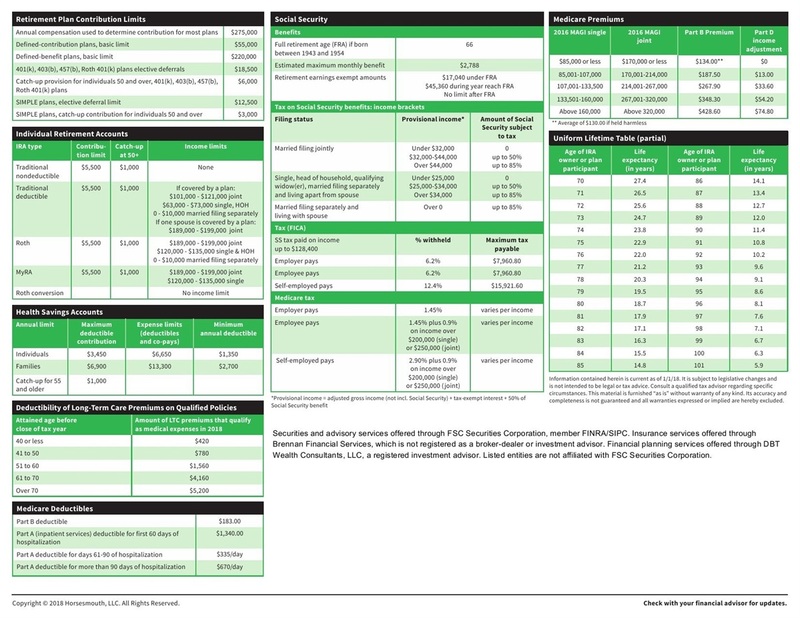 To help with that framework, we are releasing our Key Financial Data - information you need at your fingertips so you can make well-informed decisions about your money. Our goal is to help people to use their money to have the lives they want. We know that when you understand how to make a financial decision, you can be more confident about those decisions. 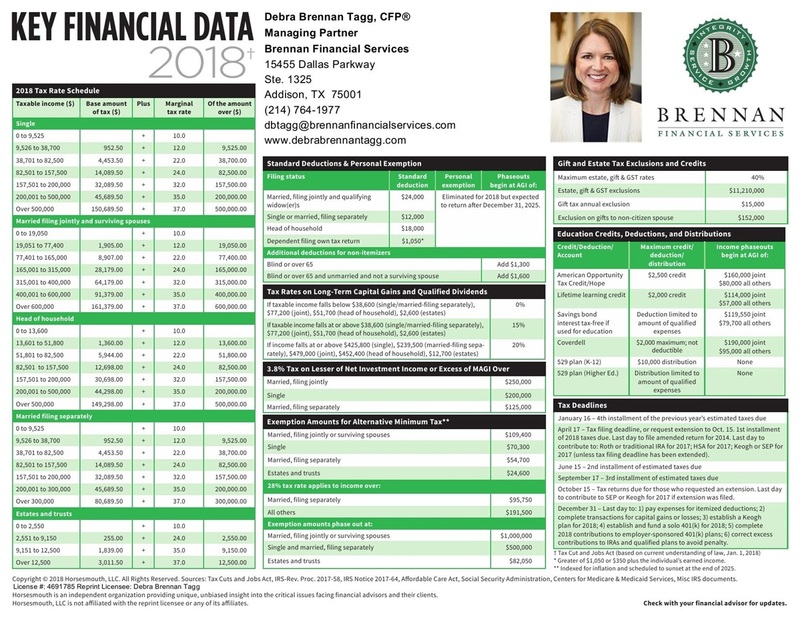 If you’d like to learn more about how we design financial plans for our clients, please visit us at debrabrennantagg.com or call us at (214) 764-1977.